We have seen them countless times. We understand the reasons couples get themselves in these knots. So, we decided to share them. In today’s world, it is very common to Do-It-Yourself. The argument for it seems to make sense – money saved! Having said that, we are also reminded of this, “penny wise, pound foolish”. With the rising cost of government fees for visa applications, it is an attractive idea to DIY. Imagine what the money saved can do – a longer wedding invitation list, a 2nd honeymoon, a new car … and the list goes on. Hold on … we are assuming you will be granted the visa. What if you are not? Before you say yes to DIY, here are the 4 COSTLY MISTAKES couples make when applying for a marriage visa. Avoid them at all costs. 1. Let’s just do it; how difficult can it be? Yes, it needn’t be, for some. But unless you’ve done it before, which is unlikely, you will be vulnerable to errors. Remember, it is not a form filling exercise. Just figuring out the relevant empirical evidence to produce is a combination of knowledge, experience, and yes, skills in organising and presenting them. No! Can you imagine the workload you’ve created? It takes time to pour through that mountain of information you’ve given. Keep in mind too, some of that may be irrelevant or unnecessary. In fact, some can harm your application and trigger an endless series of queries, clarifications. As a result, you’ve added more time than needed to assess your case. 3. We’ve set aside time. That’s great. But do you know how much buffer time you need to create for those just-in-case moments? An experienced migration agent will have handled numerous cases. They have a good feel of the time the process may take. It is invaluable information when you have a ton of others things to do. 4. Who else do I need to work with? The migration agent isn’t the only person you might have to work with in lodging your marriage visa. Translators, marriage celebrant, lawyer, accountant, even someone to copy your documents efficiently. If you do not possess this network, you’ll spend time searching and qualifying them. Working with a professional migration agent with a network of related professionals shaves potentially weeks of doing this work yourself. As a Migration Agent we help 100’s of couples a year to understand what this means and what they need to show this. 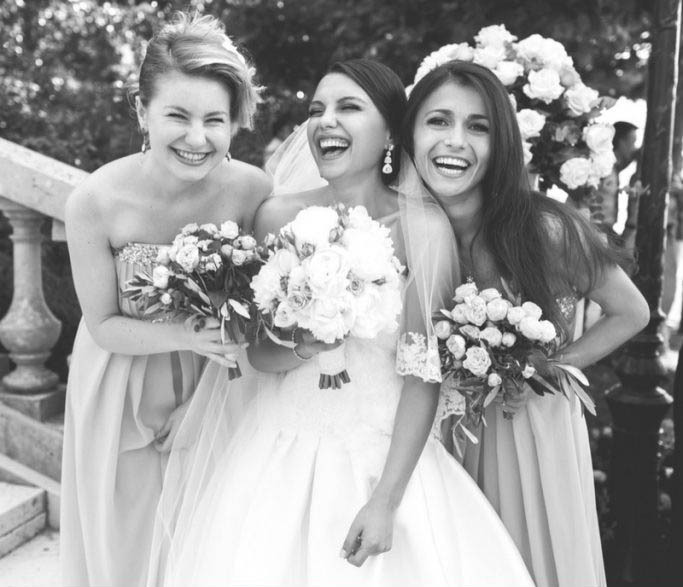 Using a Migration agent that specialises in a Marriage Visa is like knowing what the case officer is looking for, that piece of mind is priceless. No more uncertainty, nagging doubts and anxiety, knowledge that a key piece for being together in Australia is taken care of and looked after. If you have been into a cockpit of an aircraft, you would have noticed every instruction at take-off and landing is repeated at least 3 times. Its a way of avoiding costly mistakes. On the same token, every piece of documentary evidence is checked repeatedly and thoroughly. This not only takes experience and skill, but above all, TIME. Its a lifetime together at stake. Why take the risk? 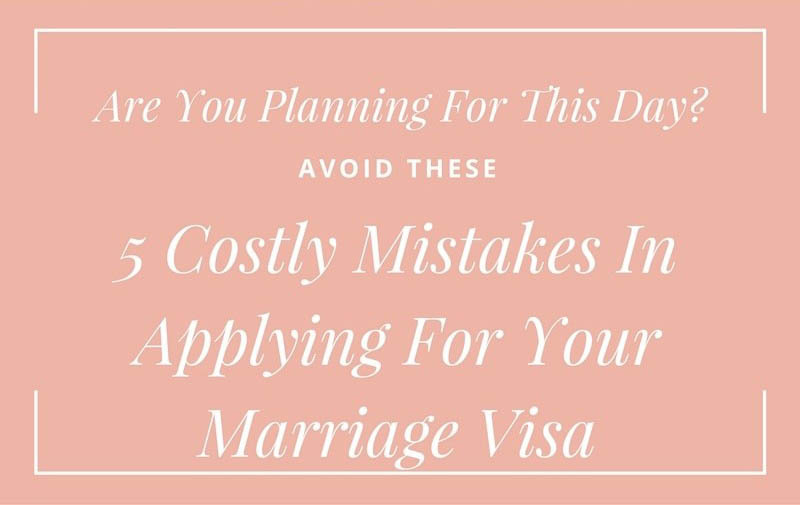 When you can avoid these 4 costly mistakes, that marriage visa is closer than you think.